Black flowers are admired by most of us because of their sheer opulent and mysterious appearance. One can add a lot of drama to his or her garden with gorgeous black flowers such as these that are showcased today. Some of these flowers are not truly or naturally black, but rather, deep purple in color. But, to the naked eyes, they appear black. If you are desirous of owning a stunning black flowers garden, then do pick a few of these beauties for sure. 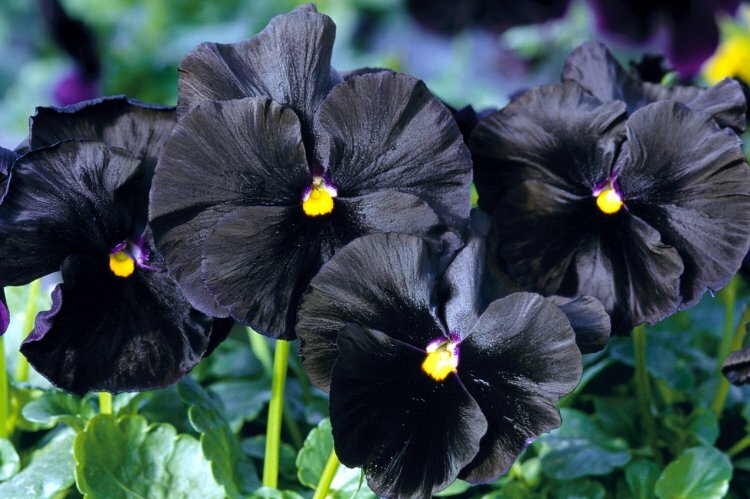 If you are a fan of the color black and want it to deck up your garden, then choose the ‘Molly Sanderson’ or Viola as this flower will definitely set a unique tone for your garden’s decor. The violas can be grown in pots or gardens easily and look stunning when coupled with other flowers like pansies. 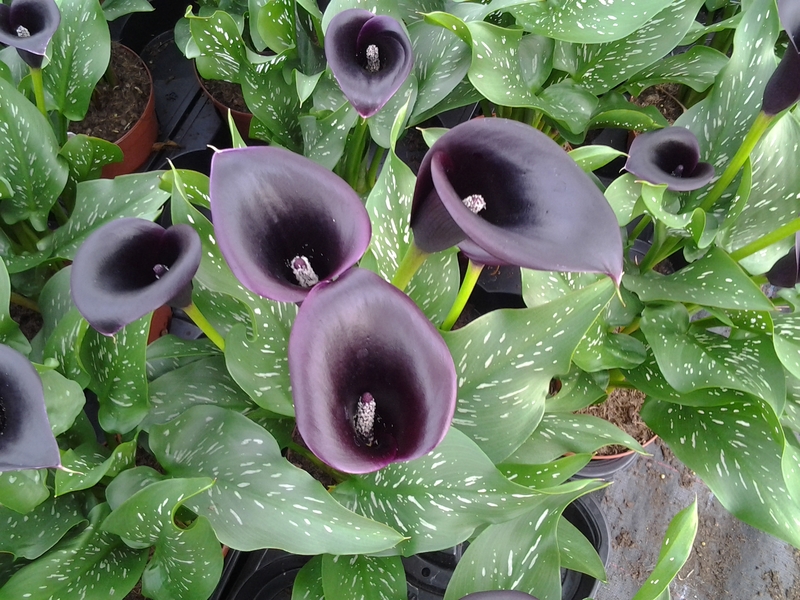 Also known as the ‘Black Star’, Calla Lilly is a very ornamental flower with a tone that is purplish, but, to the naked eyes, it appears black. Sporting spotted foliage in light green tones, the flower looks stunning. You can grow this flower either in pots or in garden bed. In this list of stunning black colored flowers, the name of Queen of the Night Tulip has to be mentioned as this is one flower that looks exotic from all corners. It’s looks are unparalleled to any other flower variety. These black tulips are very easy to care for and maintain. These pair well with pink tulips and yellow colored pansies. Black tulips are most popular with gardeners. 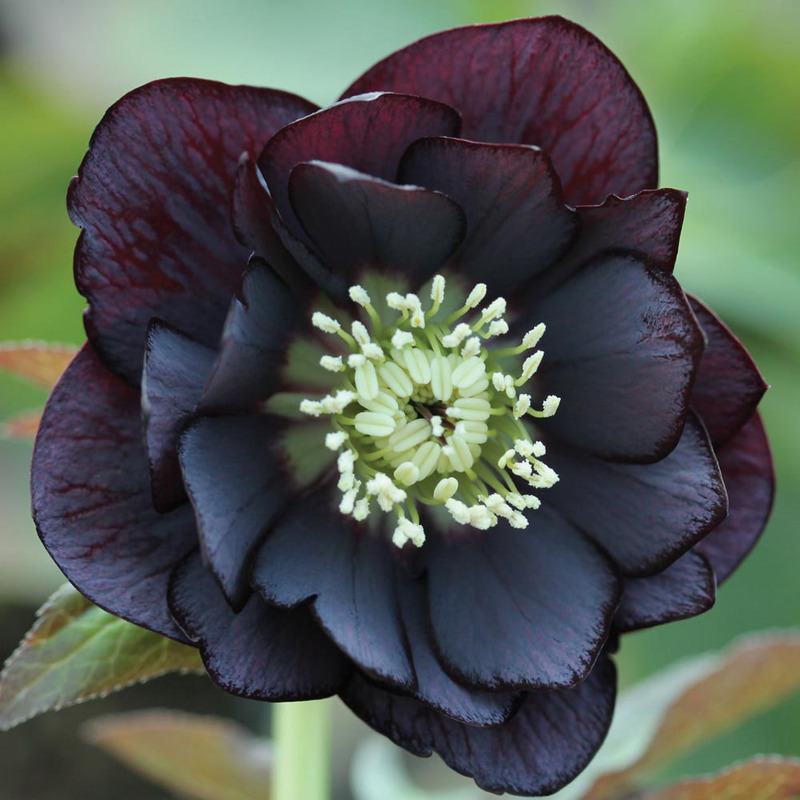 Black flowers add distinctness to any garden, and one among these stunning flowers is the popular deep purplish colored Hellebore, a rare variety. This flower looks black to the eyes and is quite poisonous. Its an annual plant, producing flowers in early springtime. Sporting a deep reddish color, the Black Dahlia looks rather black. The flower rose to fame with the release of the Hollywood film ‘Black Dahlia’ and appears quite intriguing. 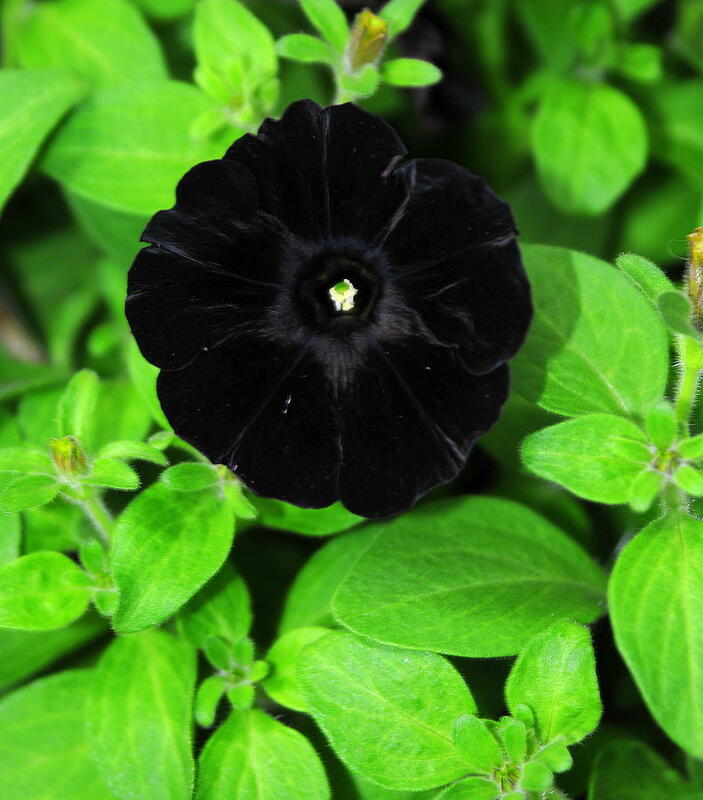 The flower is also called ‘Arabian Night’ and appears totally black when placed under some form of shade. If thinking of adding a dramatic and mysterious touch to your vase or garden, think of the intriguing Baccara Rose. The flower is most popular when it comes to decorating bouquets and gardens. It looks not just pretty in black, but also exudes a very pleasant aroma. It has foliage in green reddish tones. This particular variety of Iris sports a pleasant black color and is also fragrant. The plant can grow well when kept in places that get good amount of sunlight and thrives well in such soils that are well drained. Irises come in other colors too, but ‘Before the Storm’ variety exudes a distinct charm altogether. 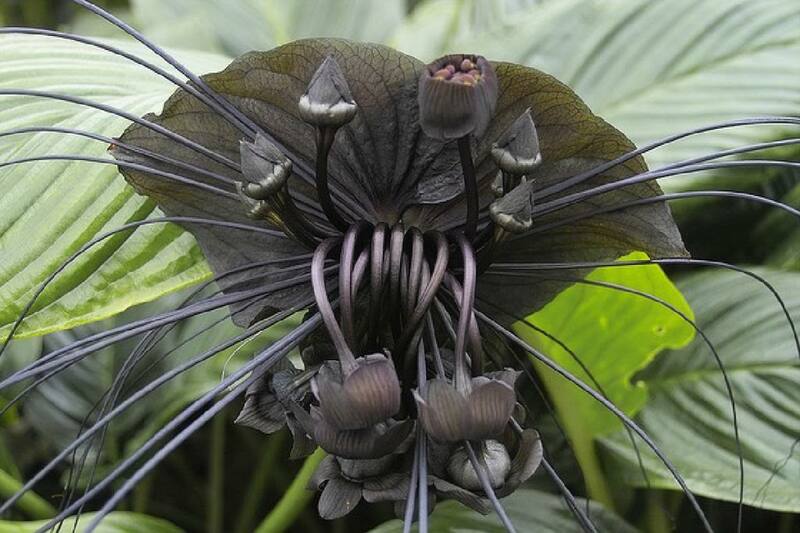 Also known to the world as the ‘Devil Flower’, this flower closely resembles a bat and hence the moniker – Bat Flower. It is actually not black naturally, but deep brown in color. However, a fleeting glance over it will make the flower appear blackish. It is also called Bat Orchid as it belongs to the family of orchids and has whiskers like that of a cat. 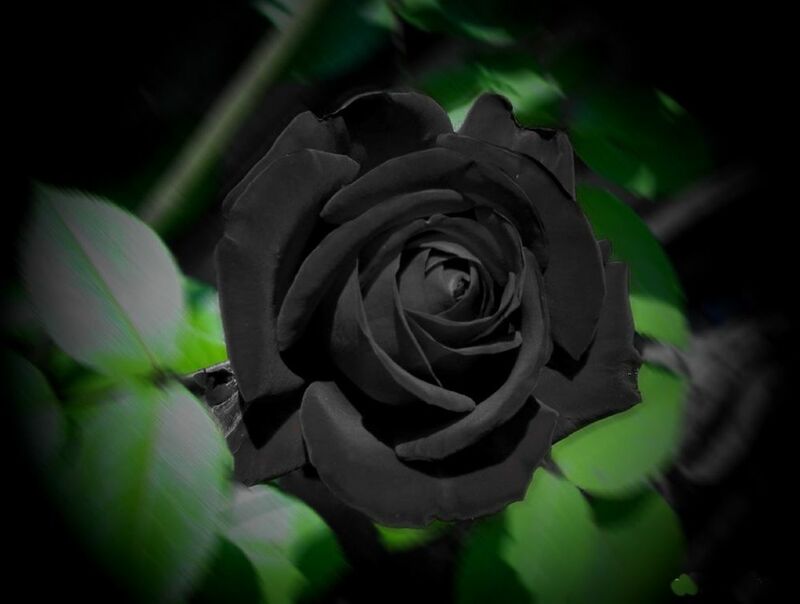 A truly decorative flower for your black themed garden! Chocolate Lily is one of the most beautiful black colored flowers mentioned in today’s list. It has a black appearance that attracts everyone, including irritating flies. The lily flower looks charming, but has a ‘not so’ good aroma or fragrance. 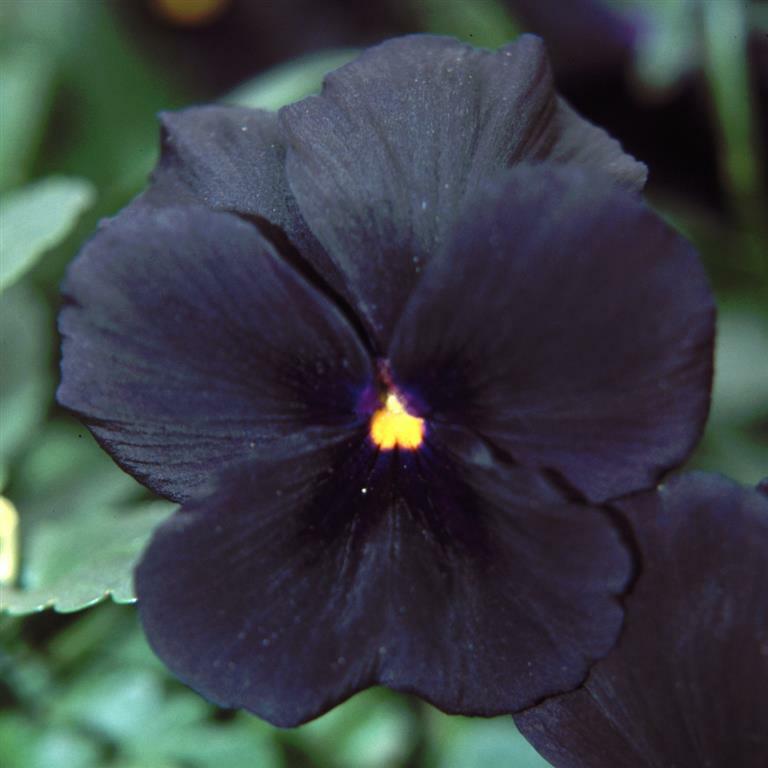 The Black Pansy is one among the most gorgeous natural black flowers mentioned today. It is a rare variety of Pansy that is blessed with natural black shade, unlike other common variants sporting deep purple tones. The flower is rare and has inky tone to it. The Primula or Victoriana Lace Silver Black is one of the toughest to obtain black flowers. The flower sports a unique shade appearing blackish brown in color, and edges with scalloped silver tones and a center marked with golden tint. These flowers bloom in springtime and are quiet fragrant. 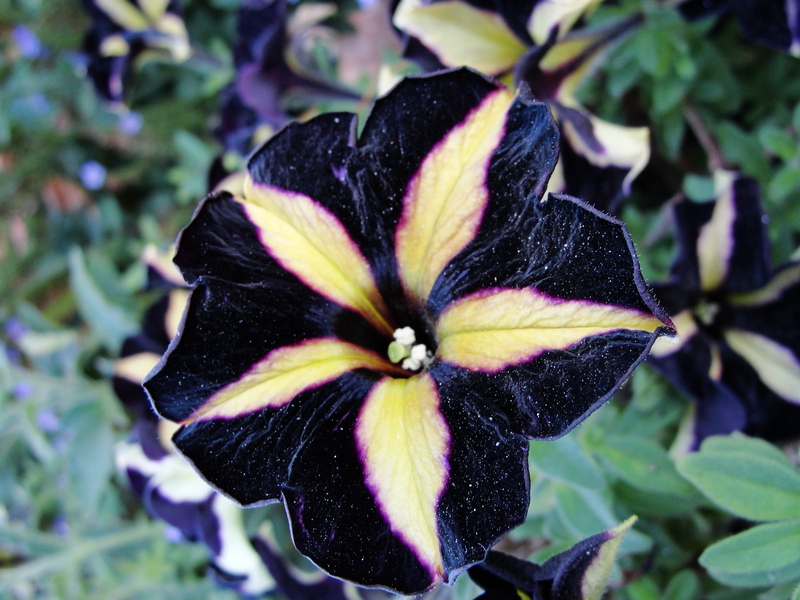 Natural black flowers have the power to add a dramatic twist to any garden, such as the mysterious Black Petunias. These flowers look velvety black and were invented by horticulturists in 2010. They named it Black Velvet Petunia. This Mexican flower can add a stylish twist to any black flower garden with its stunning maroon chocolaty tones and delicious fragrance that reminds you of chocolates. Sporting deep toned and glossy blackish purple blooms, the Cantor Black is a mysterious looking flower that can deck up your gardens or pots. The flowers look tall and upright and are a delight for any gardener. This is a very showy flower that can add a dash of twist to your garden. The double blossoms look lacy and are very sweet scented. With petals in black and white and featuring scalloped white edges, this is a must to have black flower in your garden. If you wish to add a striking addition to your garden bed, then plant Phantom Petunias as these are lovely looking with velvety black petals featuring yellow star design. It loves to be in the sun and grows well with other plants that love the sun as well. Checkout the best flowers for full sun here. The stunning plant features trumpet shaped blooms that appear black and are a perfect way to add a twist and new dimension to any garden. You can plant these flowers together with other brightly colored blooms. 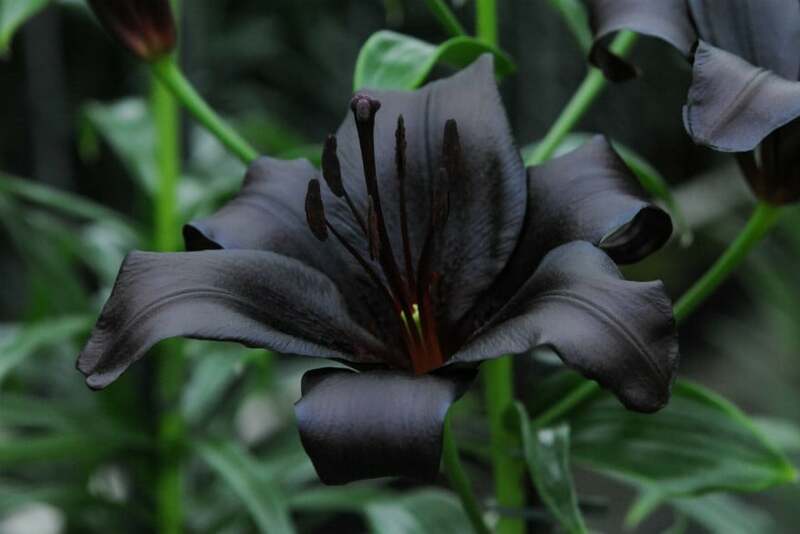 Here is our truly stunning looking addition to this list and its known as Lily Night Rider. This flower is actually black in color and is remarkable in appearance. It boasts of glossy petals in satiny black which lend the flower a mysterious appeal. 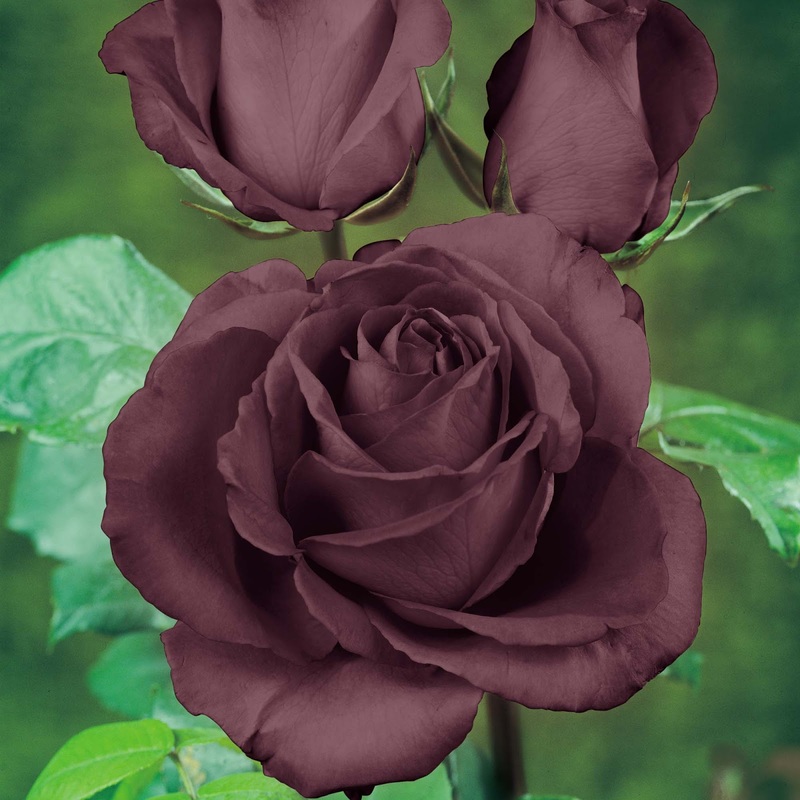 The Turkish Black Rose is one of the most magnificent looking black flowers. It is also called Halfeti Rose or Lord of the Roses. These flowers are very rare and are naturally black. When you see them in sunlight, they appear deep crimson in color. 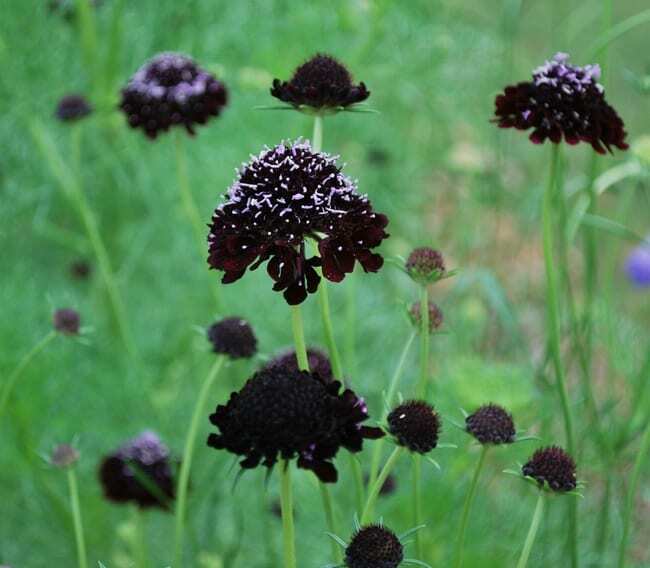 Black flowers are quiet rare such as the mesmerizing Pincushion Flower that bears blooms in summer. The plant features black flowers resembling a pincushion and grows up-to 36 inches in height. 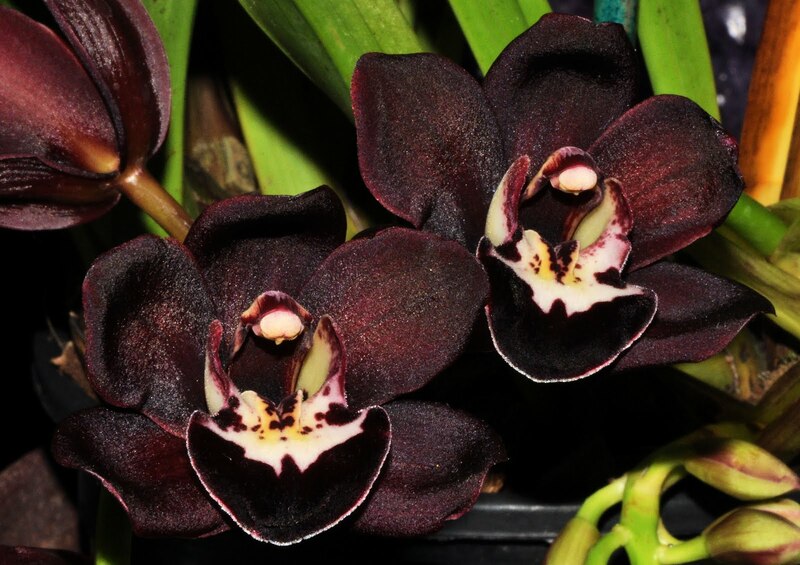 Featuring beautiful deep burgundy flowers, the Cymbidium Kiwi Midnight is an orchid which produces artistic flowers that appear black. This orchid grows in tropical and subtropical areas like China, India, Japan and Northern Australia. 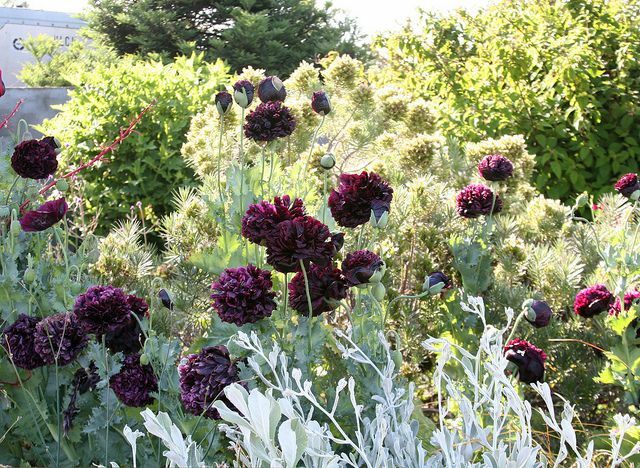 This flowering plant resembles black poppy and features dark maroon ruffled blooms that appear black. The Peony has double layered flowers and seedpods that are widely used in dry floral arrangements on party tables. The size of the flowers measures up-to 5 inches. Also called Penny Black, the Nemophila Flower is an annual and sports blooms in purplish black tones. The plant grows to about 12 inches in height and has petals that feature scalloped edges in white tones. Though, the Black Hollyhock is not naturally black and sports petals in deep purplish blue tones, it, however, looks black to the fleeting eye. The flower’s petals have a reddish tinge and look really wonderful. The flower can definitely add a lot of dramatic touch to a garden. 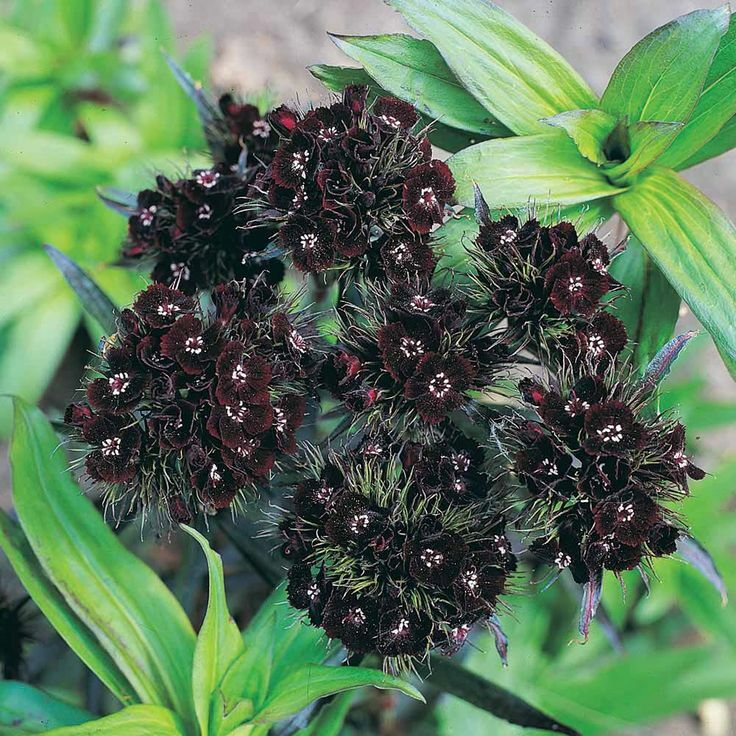 Belonging to the family of Carnations, the Black Adder is a beauty to be grown in gardens. It is also called Dianthus Barbatus and is a perennial. The plant is easy to grow and maintain. The color black has a certain charm about itself that attracts everyone. Most people love black shade, but, when it comes to flowers, their options seem to get restricted to other colors like pink, blue and purple. How about going a little different this time when you garden? Well, with this gorgeous display of 25 black flowers above, we are sure you all will shy away from planting the ‘done to death’ flowering plants and, instead, go for these beauties!